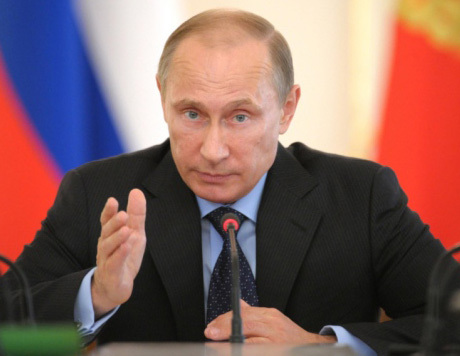 Beijing, July 2 : Russian President Vladmir Putin said in a statement that Ukrainian developments were a manifestation of the West which is trying to control Moscow, and added that relations between Russia and China are an example of cordial international relations. According to the Xinhua, Putin's statement came just hours after the Ukranian President Petro Poroshenko announced that the ceasefire with Russian rebels in the East would be ended. Poroshenko's decision to take military and political action against Russian militants was a result of outside pressure, said Putin. Putin also remarked that the West could not dictate rules of conduct for society and that the western unipolar model was non-existent now. Russian interests were frequently ignored in international affairs, added the Russian President.